Redefining luxury living in Bangalore, PALAASH by JAIN HEIGHTS has been specially created to embellish your lifestyle with excellence, enhance your status and provide you with an unmatched 360 degree living experience. Envisioned to be among the finest residential enclaves in the city, Palaash is an exclusive and private world offering the best in amenities, community, design, environment and living comfort. Defined by its architectural excellence, lifestyle design, splendorous landscaping and the spectrum of luxury amenities, Palaash is not just a place to live in. A truly royal residence, Palaash is designed to allow you to live in grand style and enjoy a quality of life that is simply divine.A sprawling club house is the signature component of Palaash and the key to both luxury and holistic living. Palaash's premier lifestyle amenities will pamper you, providing rejuvenation, social interaction and sports and leisure at your doorstep. A truly royal residence, Palaash is designed to allow you to live in grand style and enjoy a quality of life that is simply divine. The essence of luxury is choice and Palaash offers you a choice of apartments in a range of sizes and configurations to suit your ambition, lifestyle and success. Perfectly laid out, every apartment at Palaash will include first class features and finishes along with signature Jain Heights design touches. Palaash offers three and four bedroom premium luxury apartments with a servants room on floors 2 to 16 that resonate with a vibrant urban aesthetic. We also have utra premium luxury duplexes ensconced on the first and ground floor and from floor 17 to the top. Seismic Zone II & wind speed of 33m/Sec complaint RCC framed structure. Cement concrete block masonry. Ample car parking at Basement. Interior: Standard Acrylic emulsion from ASIAN Paints / Equivalent with roller finish. Exterior: Weather proof Apex paint / equivalent. Imported MARBLE for Foyer / Living / Dining. 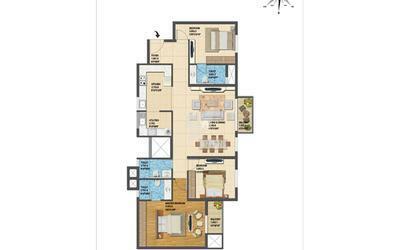 High end VITRIFIED TILES for All Bed rooms / Kitchen for 3BHK’s & 3BHK’s with Servant room. Laminated Wooden flooring in MBR for 4BHK units. ANTI-SKID CERAMIC TILES for Toilets / Utility / Balcony. Attractive Ceramic tile for flooring and Dodoing for the walls. Granite counter top with Standard make Wash basin. Rain shower. Single Lever hot and cold water mixer unit for shower. Wall mounted Water closet. Health Faucet. Exhaust fan. Bath Tub in 4 BHK’s JAQUAR / KOHLER / equivalent CP fittings. HINDWARE / KOHLER / equivalent sanitary wares. Main doors of Teak wood finish. Fully paneled doors for all internal doors. 3-Track UPVC Sliding doors for Balcony / Sit-out. Standard Hardware for all doors. 3- Track UPVC sliding windows of Standard make with Plain glass. UPVC Toilet Ventilators with Translucent glass fitted with Exhaust fan. Granite Platform with single bowl Stainless Steel sink with Drain board in Kitchen. Provision for Aqua guard point, Hob, Mixi, etc., in Kitchen. Provisions for Washing machine point, single bowl sink in the Utility. Centralized gas supply system. Switches of ANCHOR / LEGRAND / Equivalent make. TV Point in the Living room and in all the Bedrooms. Fire resistant Electrical wires of FINOLEX / Anchor / Equivalent make. Elegant designer modular Electrical switches. One Miniature Circuit breaker (MCB) for each room provided at the Main distribution box for each Flat. For safety, one earth leakage circuit breaker (ELCB) for each Flat. Telephone points in all bedrooms & Living room. Provision for AC point in Living and all the Bed rooms. Power back up for 3BHK is 2KVA, 4BHK is 3KVA. Intelligent, automatic passenger lifts of standard make. Round the clock security. Trained security personnel will patrol the project. CCTV will be provided in the premises to screen visitors from Ground floor lobby. An EPABX will be installed with cabling done upto each flat. Intercom facility from each Flat to security room and other flats. 24/7 Power back up for lighting in common areas, lifts and pumps. Over the years, we at Jain Heights have pioneered in nurturing the concept of Style and Stature in living standards and adding immense value to our business credibility. Our vision and endeavour has always been to create world-class spaces and provide a high quality of life for people who personify themselves with a sense of luxury, convenience and an enduring relationship. We are driven by high standards of professionalism, valuable ethics and impeccable customer service and our developments epitomise the finest in vision and design, providing clients with the highest level of quality lifestyles and superior investment opportunities creating an enduring legacy of value, in terms of design, specifications, location and pricing. We have been acknowledged for quality, commitment, integrity, timely execution, innovative technology upgradation, brand equity and value addition for all our projects. 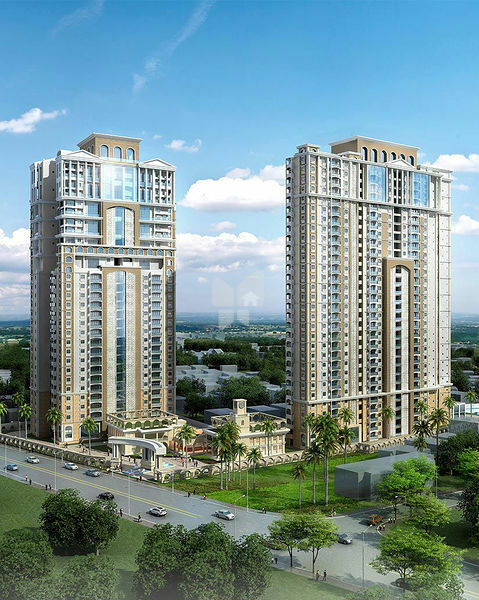 Our vision is to transform Jain Heights into one of the leading developers in the country and across the world, and to constantly innovate so as to evolve beyond mere property development into the realms of superlative and sustainable development. Jain heights will be recognized as a leader in the Indian real estate development industry for our world class residential, work and retail spaces. We will successfully integrate the industry's best practices with our progressive programs and visionary management to create world class developments. Through our prime locations, design excellence, space planning, quality of construction and luxury amenities, we will be the first choice of discerning buyers and investors for residential, work and retail spaces that eptomize style and stature.